An interesting challenge this – a comment from Chris Young from the the Real Bread Campaign on my post on “how much does it cost to bake your own bread“. Apparently I can make delicious bread without the sugar or milk – Chris gave a link to this Real Bread recipe. I haven’t had a chance to try it yet, but will do next time I have a chance to play again. I think the main issue may be the small amount of yeast combined with the rapid cycle I tend to use, which produces a loaf in under an hour. We’ll see! Unless your machine’s instructions say otherwise, pour the water into the loaf pan and, if you are using it, add the fresh yeast. Disperse the salt in the flour and then sprinkle this over the water. If you are using dried or instant yeast and/or butter or oil, place them – not touching each other – on top of the flour. Secure the pan in the machine, close the lid and press the start button. I’ll post a picture once I’ve tried it. A strange mid-winter warm spell has me feeling ridiculously springlike. In contrast to the -10c we were experiencing before Christmas, it’s now a balmy +12c. 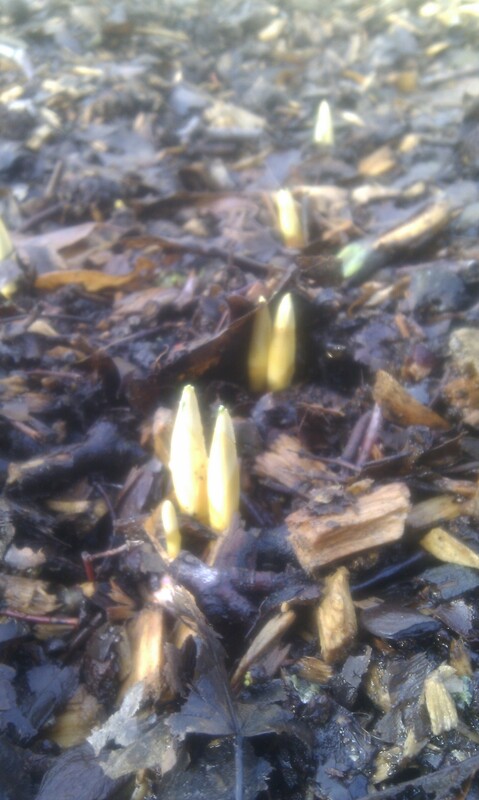 It’s not just me noticing the change – the garden is awakening. 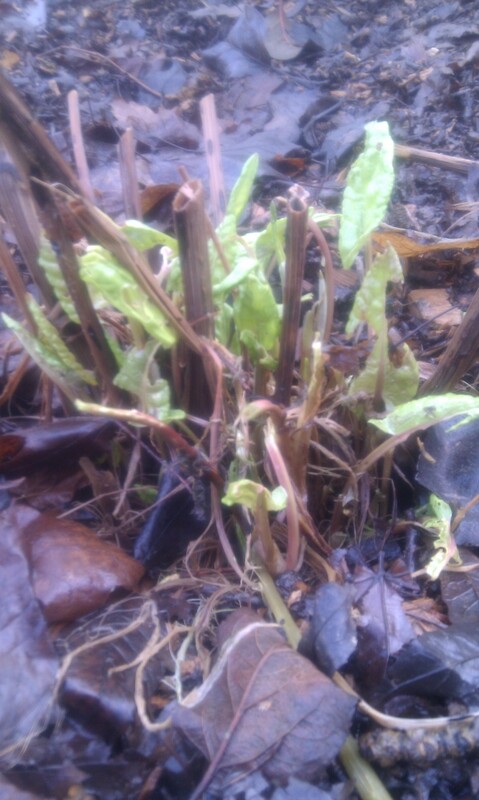 The broad-leaved sorrel is the first of the perennials to re-emerge from the softening ground, and the ivory shoots of our new bulbs show that our ever-hungry squirrels have failed to eat all of them and that my dreams of woodland drifts of snowdrops and bluebells may yet come to pass!